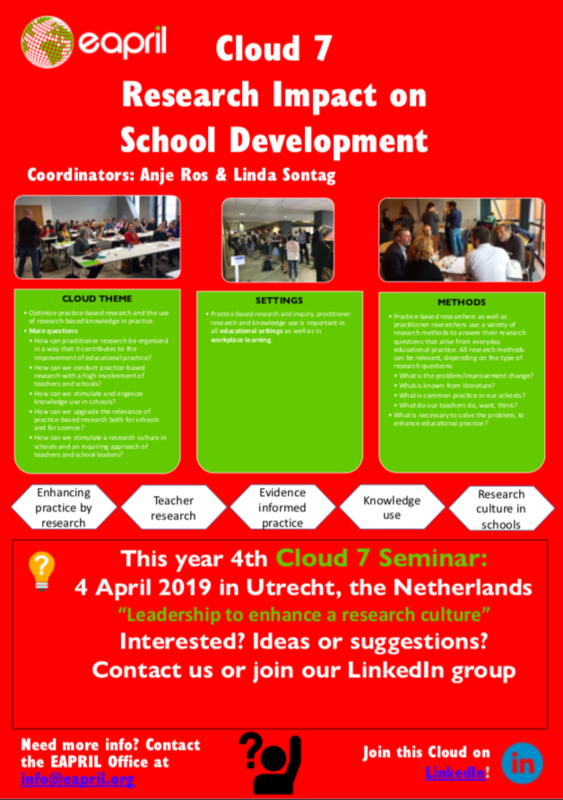 This cloud aims to build a network of researchers and practitioners who are studying the impact of practice-based research on school development and the use of knowledge in schools for educational improvements. More specifically, studies and projects on conditions for a culture of inquiry and teachers’ inquiry habit of mind are included, as well as on conditions for knowledge utilization in schools and science. For methodological issues and dilemmas of practice-based research we refer to cloud 11 ‘Practice-based research methodology’. 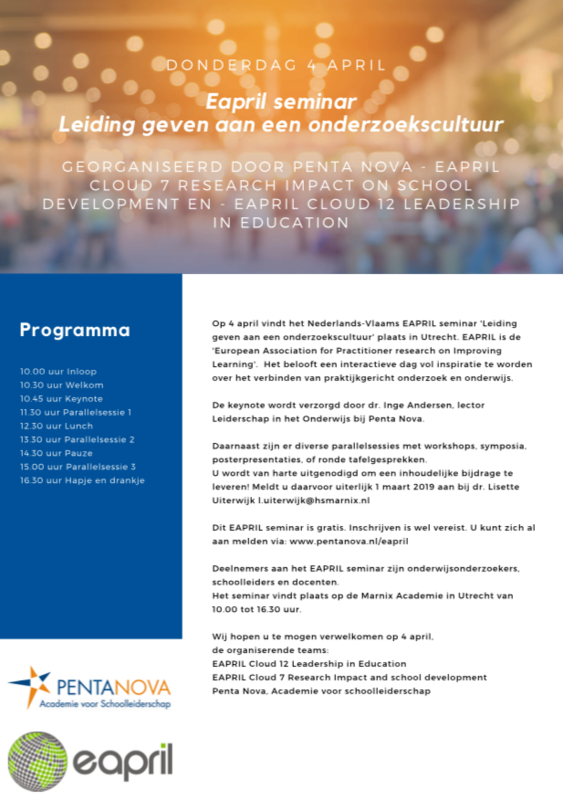 Join in on cloud activities!